The Australian Embassy in Belgium is also the Embassy for Luxembourg. 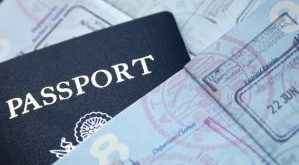 The Australian Embassy can assist you with with consular assistance if you have been involved in an accident or if you need a new temporary passport if you had lost yours while on holiday. See the contact details of the Embassy below with a map to the Embassy in Belgium. Note that you will need to contact the visa centre in Spain if you wish to visit Australia or apply for an Australian visa while in Belgium or in Luxembourg. The details are listed at the bottom of the page. 08.30 to 17.00 Monday to Friday, except for public holidays. Note that the Australia Embassy in Belgium does not handle visa or migration issues. You will need to apply either online or via the Spanish office as listed below. 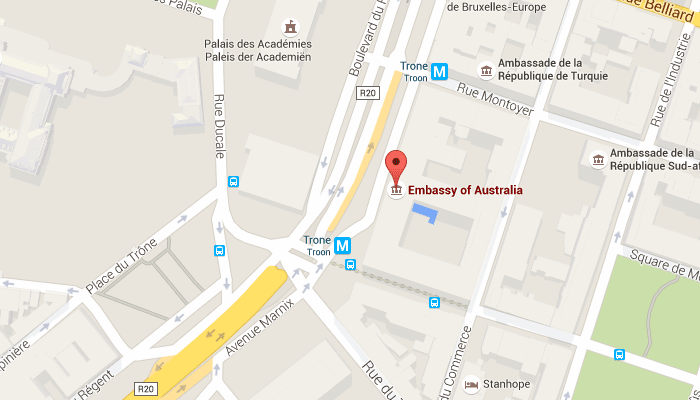 The Australian Embassy in Brussels, Belgium does not process visa or citizenship applications. If you are a resident in Belgium or Luxembourg then the visa processing is undertaken electronically through the online ‘eVisa’ service, or by processing centres in Australia, or by the immigration office at the Australian Embassy in Madrid, Spain. Search this website for more information if you wish to visit Australia and speak to the visa centre in Spain if you are in Belgium.